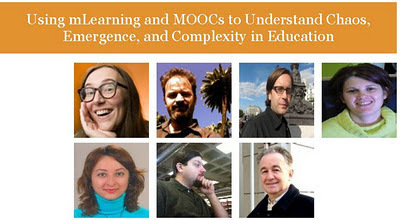 To all of us who think education is stressed for change, this paper on using mLearning and MOOCs to understand chaos, emergence, and complexity in education is a collaborative effort to embrace chaos in new educational formats (MOOC, mLearning) to come to a new educational balance... in the end. So to all the MobiMOOC research team: congratulations: +Michael Sean Gallagher, +nilgün keskin +Sean C. Abajian +Rebecca Hogue +Osvaldo Rodriguez +Apostolos Koutropoulos +Ignatia/Inge de Waard (I am really grateful to be part of such a dynamic and diverse group!). The article was published just this weekend in the International Review of Research in Open and Distance Leanring (IRRODL), vol 12, No 7 (2011): which is a Special Issue on Emergent Learning, Connections, Design for Learning. There are many other great articles in it. A panel of game developers who all shed their light on how they got their games funded/financed during the media and learning conference in Brussels, Belgium. It was amazing to see that the main route was via government funding (national). In-game advertising was not discussed (though would be interesting) and no corporate sponsors were mentioned either, though I can imagine that Disney would be interested in providing Disney land decors for an educational game? Members of the panel: Lieve Achten (empowering via gaming), Balthazar Fernandez-Manjon from Universidad complutense de Madrid, spain (computer science background working on eLearning platforms and standards) and Swen Vincke from Larian Studios, a gaming company who built the fabulous MonkeyTales game to enhance math skills for all learners. Getting money from the parents, as they want the best for their children. Quickie on Monkeytales math for different ages, international (currently UC,US, Belgium, Poland... growing). The game adapts with an algorithm which enables the program to see how s/he good that student is, the program will adapt to the capacities of teh child in order to keep a motivational pace going that will stimulate the child and not demotivate it. So even if you take it as an adult, the program will give you increasingly difficult challenges. Lieve, works very low-tech so sponsorship for logistics (classrooms, providing students, ...) so she went to the ministry of education and youth to collaborate on this project. She got a lot of skeptical remarks on the 'serious game' idea. She emphasizes the need to find out what language the different stakeholders understand, so diversifying your business and logic case. At this stage the governments are more positive towards educational gaming. Her games are aimed at disabled learners. 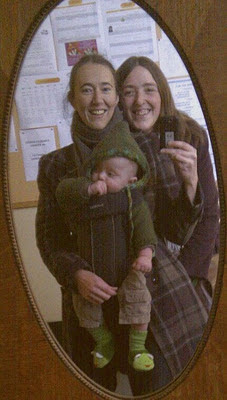 The teachers are involved from early on (learning labs). The game starts from real life school content, translated to their own experience, then redesigning it towards a game. The teacher often get coaching roles, which the learners can connect to. Once the ball is rolling, it becomes easier to get funds. A game must also feel un-learning, otherwise, with too much pedagogy, the learners think 'get a life' and leave it. Swen: governments are quite open to it, but frightened by the cost of building a 'real' game. The challenge is to put yourself out there against the competition, so you need research proof that the game HAS impact. So get research funds, manage the enormous amount of curricula. so you will need to be able to sell on the international market, this makes it depending on the curriculum standards in all these countries (quite challenging). you need to demonstrate that the kids will learn more by playing this game. But every algorithm takes years to develop, implement and evaluate. So time is an important factor. You also need to offer the learner a satisfying feeling, the game must deliver what it says it delivers AND without exploding in your face as you are playing it. So finding the strong common denominator with regard to public expectations. Strong surplus of gaming is memorization, by playing it again and again.Multiple disciplines need to be collaboration to get a game going. Balthazar: problem to incorporate each of the stakeholders language to get positive results on your demand. You risk a deadlock if one of the key stakeholders stalls. The qualitative methodology of the game is also essential. The pedagogical end of the game is tricky, for educationalists come with a long list of learning needs. you need to combine all of the stakeholders concerns to get a high quality result that can stand the test of time and learning. Funding is also a challenge: ministry of education, but a lot of paperwork, but once the money is provided by the government, sometimes the gov contacts the gaming industry, they want to make a clear profit out of it... and this risks your project to become obsolete or missed. So what Balthazar did: sell it to Harvard. This enabled them to get local funding, as the local gov saw the Harvard sell as a quality mark. You must also make the game sustainable (will it be able to shift to 3D, new computers, new devices...), how will you tackle this? You need to make any educational game update-able. Games should be authentic learning. So in-game assessment should be integrated as well. Otherwise you have a discrepancy between learning (gaming) and assessment (paper and pen). The game must also be secured, at all levels... so this costs as well. And if a security breach happens... you risk liability. this is the reason Balthazar builds simple user games, not multi-player games as security is different for each of them. Working with national standardization institutes of a country REALLY helps in getting funding, as this includes national compliance across that nation. Currently there is no serious game market. Military is one of the key funders of serious games, but what about ethics? The funding risks killing the serious game market. As the research is subjective, but far too much money is spend on poor research. But the consumer market could be revived. But another risk is the open content which risks killing developing countries as well. There is a discussion on ethics because of the negative views on killing games. So how to bridge learning and gaming via gaming traditions (shooter up...). Another option is the learning apps that are on the market, and the completely self-generated games. But to produce this, it takes expertise and you always will and this takes years. That is why teachers will not be able to build games just in a jiffy. Peter Adriaenssens (expert in Child and Adolescent Psychiatry at KULeuven) speaks at the conference of Media and Learning in the Flemish Parliament in Brussels, Belgium. Some notes from his speech. All starts at the neuron level. 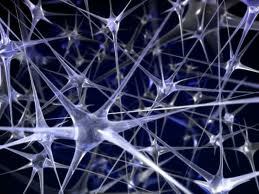 These neurons and their branches will form a neural network. From birth to 2 years, this neural network is growing at a quick speed. this process is genetically determined, but not all will be needed, this is were the genetic will meet nurture. Parts of these will be pruned as theings are 'not needed'. So it is imperative to take this neural plasticity into account when stimulating children from early on. These synapsis will keep growing all the way to half of the twenties. This is the work that needs to be done for the biggest part in the first 18 years. Exposing the young brain to a wide variety of stimulus will decide the quality of emotion and behaviour. It is a continuous process of adaptation of the brain. this brain needs meaningful interactions to grow, so exposure to media, creativity, ... will actively stimulate growth (language, concentration, ...). This will result eventually in adolescent behaviour. Children that are not exposed to stimulae, will result in a very poor set of neural networks. As such society and all of us in it, are responsible for brain stimulus. Exposure to stimulae are at the center of the discussion about violent exposure by media etc. But why do not we set up research centers about 'good media' instead of looking at the negative impact (personal note: good point!). Important to explore the language at which children feel at their best, might be dance, physical, creativity.... this push for positive stimulae is important for their brain as children have different preferences (or their brains have). Critical though of myself: lack of infrastructure will result in a sustained digital divide with low resource areas and/or groups. Are we able to prove that media stimulus will result in an improved child development? We do not have the data to found this, but we can set out some guidelines. Growing importance of social skills. And making them open to democratical, critical analysis to be ready for this world. Lifelong learning is a need, but does education taking care of this need? Are schools redesigned to allow them to provide lifelong learning? Last week I got a kind invitation of Steve Vosloo to join the first symposium on mobile learning which is organized at UNESCO's headquarters in Paris, France on 15 - 16 December 2011 (near the Eifeltower, so great venue). The event is set-up in collaboration with Nokia. To facilitate the discussion, discovery and experimentation of creative ideas about how to use mobile technologies to transform educational processes and outcomes, all of mLearning specialists are invited to gather there and let your voices be heard. Officials of Ministries of Education, international experts and practitioners in mobile learning, as well as representatives from major partners are invited to share innovative solutions of learning with, and through, mobile technologies to accelerate the achievement of Education For All (EFA) goals and improve the quality of education. The programme can be found here. The symposium follows a mLearning expert meeting that runs from 12-15 December and which is part of the mobile learning week. Share the main findings of the regional reviews of mobile learning in Africa, Asia, Europe, North America, and Latin America, with specific focuses on the policies that promote mobile learning as well as the effective ways in which mobile technologies can be utilised for teacher support and professional development. Share the latest developments of mobile technologies and their implications for education, and envision innovative ways in which mobile technologies can be used to enhance the quality of education and transform learning processes. You can register online to the event on the UNESCO ICT in Education Website. The organizers indicate that following your registration you will receive a confirmation email with your invitation letter attached. Should you have any questions or requests, please contact Mr. Jongwon Seo at j.seo@unesco.org. Please note that registration closes on 28 November 2011. Unfortunately UNESCO cannot provide travel assistance to the event. And for those of us with great ideas, the Education For All challenges are still open, so get your ideas in! The next challenge to take part in is the one on Life Skills and Lifelong Learning which will be launched on the 12 December 2011. If anyone is organizing a conference, workshop... feel free to send it to me @ignatia I will gladly add it to the next call for papers post. Short description: Meeting the networking needs of the pan-African eLearning and distance education sector, the annual eLearning Africa conference is the key networking venue for practitioners and professionals from Africa and all over the world. eLearning Africa is the premier gathering place for all experts and stakeholders engaged or interested in ICT-based education, training and development on the African continent. Everyone concerned with eLearning in Africa is welcome to share and learn. Editors: Guest editors: Norbert Pachler (Institute of Education, University of London), Maria Ranieri (Department of Education, University of Florence), John Cook (London Metropolitan University) and Stefania Manca (Institute for Educational Technology, National Research Council of Italy). The aim of this Special Issue is to explore educational and socio-cultural perspectives on the use of the increasing convergence of mobile devices and digital media for social networking in formal and informal contexts of learning. • Effects of mobile networked communities on learning by adults in informal contexts and for professional development. Just for all the gender enthusiasts in learning: Rosi Braidotti is one of the keynote speakers. Short description: EERA, European Educational Research Association and the University of Cadiz, Spain, invite Educational Researchers to participate in and to submit proposals for the European Conference on Educational Research 2012. The conference theme "The Need for Educational Research to Champion Freedom, Education and Development for All" will provide a focus for the keynote addresses and for other invited events. It may also be taken as a reference within the conference sessions organised by the EERA networks. However, proposals for contributions are welcome from all fields of educational research. Participants are invited to hand in up to two abstracts for papers, posters, workshops, round tables and symposia. All proposals must be handed in electronically via the online submission form. PhD students and emerging researchers are especially invited to participate in the Emerging Researchers’ Conference by submitting proposals to the Emerging Researchers’ Group. • gain a better understanding of the biggest issues faced by the world's educators. • provide a platform for the world's best visionaries, thinkers, teachers, researchers, and developers. 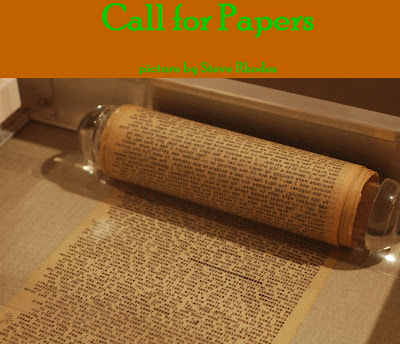 • discuss, examine and disseminate the best ideas from and for the global community. • worked together as a global force to change, improve, and create a better future for education. The picture shows the manuscript of Jack Kerouac's 'On the Road', which he typed on one big scroll that he put through his typewriter. The picture was taken by Steve Rhodes. 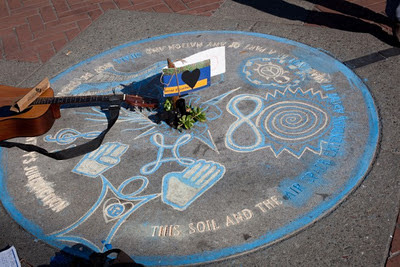 The Occupy movement has gotten yet another blow yesterday as the campsite on Liberty Square (Zucotti Park in New York) was 'cleaned up', simply because they have a critical, minority opinion which is in favor of most of us. Peaceful occupation on ideological grounds is a worthy cause, so why is it that in many cases it is a risky business? I feel that crushing freedom of opinion is actually a very practical example of suffocating critical thinking and true education overall. Crushing freedom of opinion does not coincidentally happen at the same moment in which most countries decide to cut down on education or welfare to get them out of an economic crisis. Educated citizens will question regulations and policies, and powers that be do not like to be questioned no matter what era, what region. Being critical, demanding transparency of policy makers and the powers that be is a very democratic action. Strange enough, it is also mainstream corporate action, for transparency allows for improved business action. So why are demands for financial transparency that affects citizens then crushed by people in power positions? For it is simply a sound policy action. Unfortunately the action is undertaken by non-policy people (or mostly). Being critical, engaging in discussion to enable mutual growth and free speech is at the basis of us human beings, it is also at the core of education. It demands looking into current situations, analyzing it for its strengths and weaknesses and coming to conclusions on which you or we want to act. To me it is the basis of any critical learning of any movement to strengthen our evolution towards becoming more human. Crushing down on a small group of people, simply because they use their voice to get their opinions out in the open, is a brutal yet very open act of censorship and of what some powerful people feel should be numbed. How can transparency and human, peaceful action ever be a bad thing? And what if even believers of economic power structures propose themselves to give back to the country in order to give back to the people (e.g. Warren Buffett asking for higher taxation of the rich)? Where do we go? Where can I grow? In ‘grapes of wrath’ the Oscar winning 1940’s movie directed by John Ford in which a Midwestern family seeks fortune in California amidst the depression there is still an illusion of the new frontier, the new world. But even then it was clear that it was only an illusion. 70 years onward, amidst another economic crisis that is affecting the tired, the poor and the huddled masses yearning to breathe free … there is no longer a lamp beside the golden door. Where do we go? Where can I go? There is no longer ‘the Western frontier’, no longer the land of the free no matter where we look, it is not in the America's, it is not in Europe... It feels as though when I really want to be free, the only frontier left, is my own inner voice, my inner space in which I can ask ourselves: who am I, what do I do in these changing times? To get an action plan going, there is only one option: to learn. And to be able (financially, socially) to engage in education that will allow ideas to emerge to better the world around us – all of us. For as an educated citizen, I will be able to engage, to put my two cents into causes that I belief in. Hence there is only one option: promoting, following, building critical education, education open to all. In order to lift us towards a more human world where citizens from all regions can live a happy life in their own country, region, part of the world. Although a propagator of learning with mobile devices, in this seminar John Traxler takes a look at learning with mobile devices from another angle, a critical one while looking for answers from all of us. He moves away from the main trend of depicting mLearning as successful simply because it brings education to people that did not use technology for education before and of the main narrative that mLearning is a sure benefit. 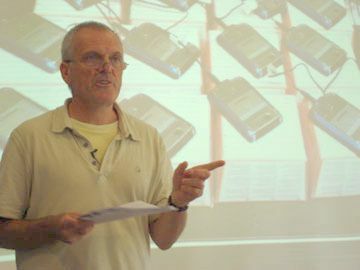 This is a description of a seminar given by John Traxler at the London Knowledge Lab (London, UK): “Too many elephants in the room: learning with mobile devices in developing regions" on 8 November 2011. It is how my mind interpreted the talk, so I could have misinterpreted some ideas, or put the wrong emphasis on some points. Open for remarks. John Traxler lives and breathes mobility. His expertise on learning with mobile devices is well known internationally and as he advizes, supports and plans mLearning projects, his air/land/water mileage must be well that of any average global citizen adding to his mobile persona. He is at the crossroads of different views/accounts (government, practitioners, researchers, users…) on learning with mobile devices which makes his critical views on the subject of interest for mLearning practitioner (well, from my point of view that is). Are learning projects based on mobile devices really helping Africa forward? How can we move ahead getting all the major, willing stakeholders around an ethical educational project development table? John starts of the seminar with putting question marks on widely promoted mLearning projects like Nokia Maths project. 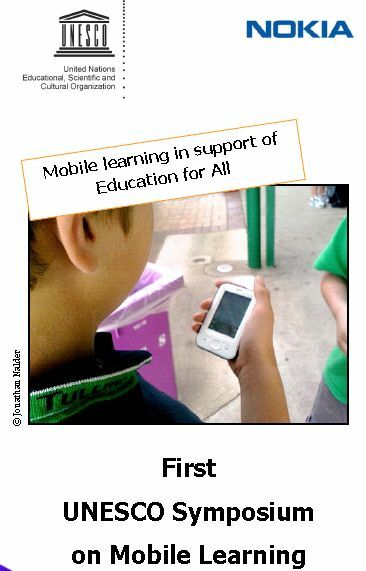 Potential of mobiles and learning specifically in Africa, is it really a fact and do these projects make a difference? Various stakeholders barking up the wrong trees. Looking back on the presentations of the past (both his own and those of other mLearners). He takes away the ‘magic’ on the combination of mobiles, learning and Africa. It is a fact that at the moment there are no reasonable alternatives (no secure buildings for computes, no reliable connectivity/electricity…), so mobiles seem to be successful for education. Why address this concept: the zeitgeist, as US funders start to move into mobiles in Africa, pushed on their school system, prices for projects (UNESCO and US, GSMA took onboard mobiles for learning, …) the idea behind it is that mLearning in Africa is a big market. So education might just be an excuse to dig into that market via a more human need, which is actually nothing more or less than a mask. But simply wanting to get into a market, does not assure that the projects to get into the market have a sound educational basis. So can we build scaled, durable mLearning projects? Many African representatives are willing to move into mLearning. But what are they buying into? Is it real progress? Momentarily it seems a bit naïve belief. So it seems corporates sell mLearning as the only development way to go, but is it? Belief in technology, and thinking that the Western model will move Africa forward (as well) might not be the best basis to move ahead in a continent that has many challenges to tackle. Globally education seems to be heading the same way, but that is mainly a Western way of thinking and does this model work across the globe, does this model work in the West? (reflection of myself: good point.). Most projects in Africa were/are small scale, short term. If these projects get adopted on a bigger scale, problems might arise. Trojan horse: technology brought into Africa can be importing Western ideology into the African setting. But these technologies are embodying alien pedagogies that might not link to African learning (e.g. VLE). So Northern technologies might embody morals, ideas from the North. Every region has different pedagogies, but not all learning technologies have been adapted to these pedagogies. Connecting small, vulnerable cultures to the global might be disastrous for their culture (UNESCO indicates that from the 400 African languages, 200 are under thread of extinction). The onward march of American English and corporate thinking threaten many of the identities (Stephen Fry on language and identity – Inge check youtube options, should come from mid October). Common denominator of projects that have small scale, fixed term, run by enthusiasts but they have not sustained. In part that might have been the mindset around problem solving that pays a lot of attention to the artifact and not much attention to the environment and the host. There are a lot of reasons why this happens: what gets funded is the project, not the host. Additionally, the funders have funded what THEY thought was worthwhile, not what the grassroots target audience found useful. The mLearning projects have not worked enough with local populations (cultures, contexts…). Is there a solution for this? And can that solution be found by getting stakeholders together but with some ethical ideas behind it? Many of us mLearner’s take our small pilots to bigger institutes/bodies, which they pick up for bigger projects, but this has those challenges in it. How can researchers influence big scale projects supported by government that work top-down (in contrast to small scale projects which are grassroots)? So how can we get our voices (as researchers) heard and with what type of evidence? And does this allow regional learners’ voices to be heard as well? Interesting view: the causal relationships of mLearning projects is viewed according to that persons own frame: a technologist will view positive/negative results of a mLearning project as due to technology; a policymaker will find it was/is due to policy. How can we make sure all of these views match the ultimate goal: educational benefit for learners? As you are your own group/culture, you make and live by your own rules. These rules come from cultural motivation, culture group narratives… so who are the others to judge on it? There is never a narrative of a failed mLearning project. Looking at the amount of projects, that is impossible. There is a momentum of mLearning successes, but are they truthful? Do they deliver complete pictures? And if the evaluation is not transparent, then how do we know if the results that we derive from them are the correct interpretations? So how do we connect the dots if the complete picture is not (well) documented? Additionally, a uniform hardware platform is delivered to mLearning projects in many cases. But we will never be in a position to give everyone those same devices (let alone while keeping in touch with the evolution of devices by the time we can reach big groups). There have been successful projects in non-educational fields: phone banking for example. But these projects are not perse transmutable to educational projects. So why do we fail to deliver educational mLearning successes. What does it take to make mLearning projects/educational projects economically sustainable? Social entrepreneurs (remarked that Bill Gates asked the audience what was meant by social entrepreneurs in 2009, Doha – ict4d), they might make a difference. How to make it a way forward on many levels: education and economy. M4D has an impoverished idea of education: ‘pushing stuff down tubes’. Mobiles have the potential to gives all of us more insight in how we learn: potential for transient knowledge for example, we should use this new meta-analysis tool to develop future educational projects (remark myself: transformation of education has impact on the whole of society and its production logic, should make a post series from this, then link it to future of education and society as a whole). Meraka supports livinglabs in South-Africa: they come from science and technology way of doing things, but they (from government) need to build social useful programs/applications.